This is our cute and colorful Birdorable version of the Rainbow Lorikeet. This species is a beautifully colored parrot native to Australia and southeast Asia. 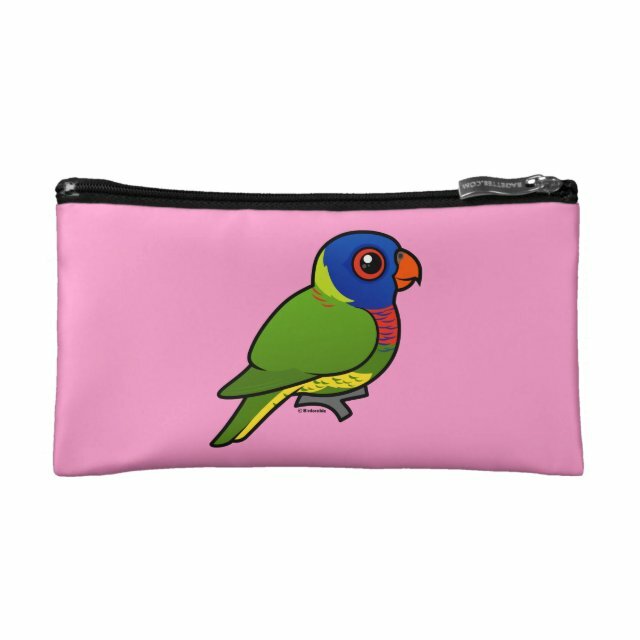 Here you'll find some great gifts for parrot lovers and lorikeet pet owners. You can customize this gift! Move the lorikeet around, change the background color or style, add text or images -- make it your own! Store your emergency touch-up basics with the small cosmetics bag from Zazzle. Perfectly sized to fit in a handbag or purse, this cosmetic bag holds everything from lipstick to compacts and nail polish. Want to more... match that favorite purse? Easily customize this bag with your designs, text, or photos to complement your style. This personalized cosmetic bag is a great addition to your daily life or a wonderful gift for a friend or two.